After I cracked my tooth, I experienced the most excruciating pain. These nine solutions helped me survive until I could see a dentist. Excruciating: Extremely painful; causing intense suffering; unbearably distressing; torturing. I am a stranger to pain. I say this because I do everything I can to avoid it! My husband does everything he can to help me to avoid it, too. He knows that as long as I am in pain, life is unbearable—for him, as well as for me. With him at my side, we search high and low to find anything, whether it's been tested or not, that might relieve any pain I might be experiencing. To be clear, I am not a doctor, and I can’t prescribe medication. However, after my experience with tooth pain, I have become something of an expert in this type of pain. 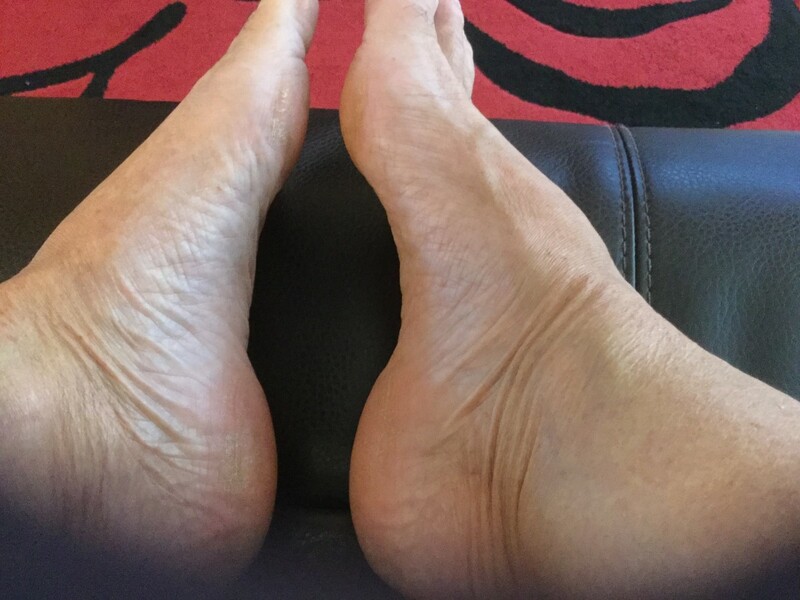 I am writing this article to share what worked for me to get rid the pain fast. I can save readers time and money as they search for solutions to manage their own tooth pain. 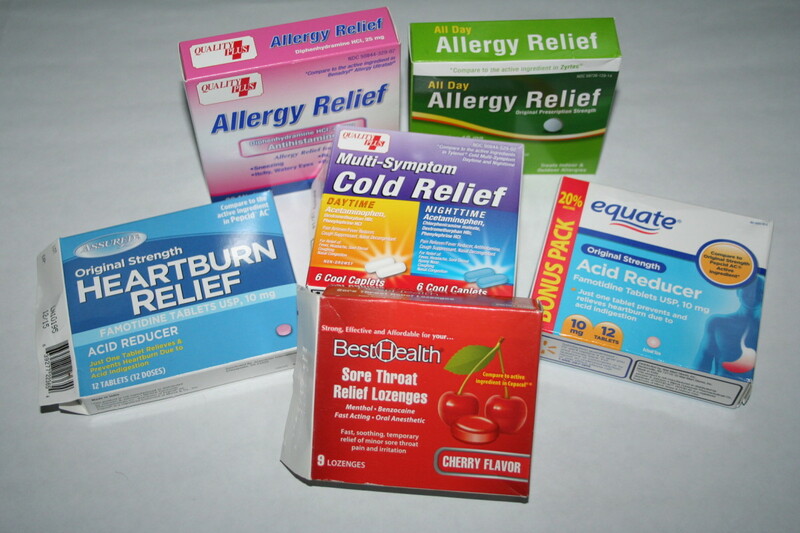 Some medications will work for minor pain relief, no matter what kind of pain reliever you use. For me, when the pain was simply an annoyance, I used whatever I had in my medicine cabinet. I tried aspirin, ibuprofen, and acetaminophen (not all at the same time, of course). All of these pain relievers worked for my tooth pain. My recommendation for the fastest tooth pain relief: acetaminophen. Acetaminophen relieved my pain within 5-10 minutes, and I did not experience any adverse side effects. When I read the back of the label, I saw that this medication had the least number of adverse side effects in relation to my personal health concerns. So, I was happy that my pain could be relieved so quickly with this medication. You should read the cautions and warnings on the label to determine which type of medication will be most beneficial with the fewest side effects with respect to your specific health concerns. While all of these medications worked for me, I would be negligent if I didn't share some precautions that come with taking these medications. See the chart below to learn more about these medicines, as well as other tooth pain solutions. Provides temporary relief of headache, pain, and fever of colds, muscle pain, menstrual pain, toothache, and minor pain of arthritis. Reye’s syndrome: Children and teenagers who have or who are recovering from chicken pox or flu-like symptoms should not use this product. When using this product, if changes in behavior with nausea and vomiting occur, consult a doctor because these symptoms could be an early sign of Reye’s syndrome, rare but serious illness. Allergy alert: Aspirin may cause a severe allergic reaction, which may include hives, facial swelling, asthma (wheezing), and shock. Temporarily relieves minor aches and pains due to headache, muscular aches, backache, arthritis, the common cold, toothache, menstrual cramps, reduces fever. Alcohol warning: If you consume 3 or more alcoholic drinks every day, ask your doctor whether you should take acetaminophen or other pain reliever/fever reducers. Acetaminophen may cause liver damage. Also, do not use with any other product containing acetaminophen, and stop using the product and ask your doctor if new symptoms occur, redness of swelling is present, pain gets worse or lasts more than 10 days, fever gets worse or lasts for more than 3 days. Finally, if you are pregnant or breastfeeding, ask a health professional before using acetaminophen. Temporarily relieves minor aches and pain due to headache, muscular aches, menstrual cramps, the common cold, backache, toothache, minor pain or arthritis, and temporarily reduces fever. Ask your doctor before use if you are pregnant, under a doctor’s care for a serious condition, age 60 or over; taking any other drug or have stomach problems. This product may cause a severe allergic reaction, especially in people allergic to aspirin. Symptoms may include hives, facial swelling, asthma (wheezing), shock, skin reddening, rash, and blisters. If an allergic reaction occurs, stop use and seek medical help right away. Do not use this product if you have ever had an allergic reaction to any aspirin reliever/fever reducer. This product may cause stomach bleeding. Long-term continuous use of this product may increase risk of heart attack or stroke. Considered an analgesic (pain reliever). Applying ice directly to the skin may cause the skin to burn. Do not place an ice pack directly on the skin. Always place a paper towel or cloth between the ice pack and the skin. An anti-inflammatory treatment that is intended to relieve inflammation in the body. Ingesting garlic is normally safe, however too much garlic can cause a burning sensation in the mouth, stomach upset, heartburn, gas, nausea, vomiting, and diarrhea. Repairs loose caps and lost fillings, and fractured crowns. The adhesive is considered to be non-toxic, so there are no severe side effects unless you happen to be allergic to the adhesive used in the bonding product. Acts as an antibacterial by increasing the pH of the mouth, limiting the ability of bacteria to grow. Eases pain and swelling. Because of the increased pH, the solution is high in alkaline which can erode tooth enamel. Be sure to spit out the solution after swishing in the mouth for a maximum of 30 seconds. Stabilize the tooth. Keep bacteria out. Important Note: Most doctors caution against the continuous use of pain medication for a period that exceeds 10 days. Be sure to contact a doctor any time your condition gets worse. The onslaught of my toothache began as a dull throb. In fact, at first, I just worked through the pain—no big deal. As time went on, however, that dull throb gradually turned into the most excruciating pain I had experienced in my life. And yes, I say this as someone who has experienced childbirth pain. I repeat, the pain was excruciating. As long as it was dull, I could take over-the-counter medication and go about my day as usual, but when it transitioned to the next level, I could barely function. Ice is considered to be an analgesic (pain reliever) and is often recommended for pain. An ice pack placed at the affected site is the universal "go to" solution for relieving pain. 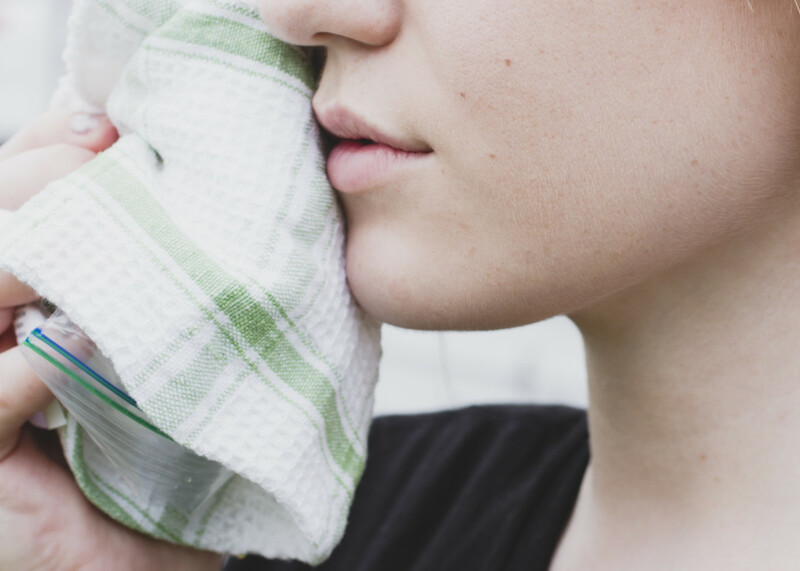 Just hold the ice pack (wrapped in a paper towel or cloth) to the face on the affected side. Hold the ice pack in this position for at least 20 minutes. Do this every four hours to help relieve pain. When I hear "ice packs" and "20 minutes," I want to say, forget it! Twenty minutes is just too long to wait for tooth pain relief. I have to be fair and admit that after holding an ice pack next to the affected area for about 15 minutes, the pain subsided. At the same time, folks, when I have unbearable pain, I want solutions that work faster than that. Why didn’t I go to the dentist, you ask? Well, at the time, I didn’t have dental insurance—and although I was in extraordinary pain, I am very afraid of dentists. I didn't want to pay money out of pocket only to see a dentist who was likely to cause me even more pain. I had a wonderful dentist in my hometown, from which I had recently moved, but I was now living in a new city, hundreds of miles away. I was too afraid to try someone new who wouldn't understand my severe aversion to pain. I discovered that the reason my tooth began to ache so much was because the tooth had cracked. It had split vertically from the top down to the gum line. I was not going to be able to fix this on my own, so I had no choice but to call a local dentist. However, the dentists I called said my cracked tooth didn't qualify as an emergency—so it would be a month before I could get an appointment. I scheduled an appointment with a dentist whose promotional material claimed, “Friendly staff with painless solutions for all your dental needs.” No pain? Well, that was the office for me. But, in the meantime, until my appointment, I had to manage the pain on my own. Probably the most widely known solution for immediate pain relief is a gel that is placed on the affected area. The active ingredient in these gels is benzocaine, which is a local anesthetic, or numbing medication. It works by blocking nerve signals in your body. I used an over-the-counter gel containing benzocaine for a short period of time. It worked immediately. However, there are some precautions that should be taken seriously when using medication. See the table above for specific precautions. Symptoms can reoccur after a very short period of time when using product like this, and up to two hours after application. Remember, I was in severe pain, so the side effects were a mere inconvenience to me. The gel worked very quickly for me—almost immediately. But please take heed of the cautions listed on the label when you are using over-the-counter gel tooth pain relievers containing benzocaine. Sometimes, untreated tooth infections can evolve into a condition called encephalitis, which is an acute inflammation of the brain. This condition can be treated—but if not it can lead to high fever, convulsions, coma, and in some cases, death. Although my dentist could not treat my cracked tooth immediately, he set an "exploratory" appointment so that he could prescribe an antibiotic to ensure that I would not get an infection before my scheduled "analysis and treatment" appointment. Garlic oil is known to relieve inflammation in the body. Some cultures use this oil as an anti-inflammatory treatment. Well, once I completed the 10-day course of antibiotics my dentist had prescribed, I figured I should do all that I could to continue the effect of the antibiotics. I read all I could about alternative solutions to antibiotics and noticed that garlic oil was a common remedy. I started taking 1000 mg of garlic oil four times a day. Folks, I do believe it worked. While I cannot guarantee that it worked, I can attest to the fact that during the month I had to wait to see my dentist, I never developed an infection. My tooth was split from the crown to the gum line. Instinctively, I knew that if food were to get trapped inside the crevice, I could develop an infection. My dentist appointment was a month away, so I had to devise a solution that would keep the two halves of my tooth held together tightly. Many of my friends have had good experiences with tooth bonding products. I tried one that I found at the local pharmacy; the label promised "instant pain relief." I followed the directions religiously—"to the tooth," so to speak. It worked, but it did not work as quickly as the label promised and the bond did not last as long as I expected. Perhaps I was not applying it correctly. If I ever have the misfortune of cracking another tooth or crown, I would be willing to give these products another try. When the instant tooth bonding product did not work, I was in extraordinarily extreme pain. I had to find a solution—fast! People say, "necessity is the mother of invention." Well, by this time, it was necessary for me to find relief for the awful pain I was experiencing. Make a solution of 1 teaspoon of salt to 1 cup of warm water. Somehow, I knew that salt water was a sanitizing solution for the mouth. I must have actually learned something way back in high school biochemestry class. In any event, the knowledge came in handy when I needed it the most. Swirl and rinse the mouth with the salt water solution for about one minute. Sip and swirl for about 15 seconds, then spit out the salt water. I sipped, swirled, and spit three times. During the process, I could feel the pain subsiding. I knew I was on to something wonderful. Wrap a string of dental floss tape around the tooth. I wrapped dental floss tape around my tooth three times: once to secure the bond, another to enforce the bond, and a third time to be able to tie the floss without jeopardizing the initial bond. Then, I cut the excess floss with a pair of sterilized scissors. I was pleasantly surprised. After wrapping my tooth, the tooth pain stopped. I was able to eat and feel normal almost immediately afterward. Incidentally, when I mentioned to the dentist that I was wrapping my tooth with dental floss, he said he'd never heard of anything like it. He said it was an ingenious idea and that I should keep doing it until I could get in for my appointment. The tooth was wrapped securely. Food particles and bacteria were blocked, which lessened the chance of infection. I felt good about how I was protecting myself from infection, so at that moment, I was a very happy camper! The tooth wrapping strategy proved to be an excellent solution. From that day forward, my pain was relieved until the day that I could go in to see my new dentist. Tooth pain can be a sign of underlying problems and should always be taken seriously. Most people do not have to endure tooth pain for as long as I did, but if you find yourself experiencing this type of pain, rest assured that there are viable over-the-counter medications, as well as home remedies, to help you stop the pain in its tracks. Consider ice as an analgesic. It doesn't work immediately, but it can be used in conjunction with medications that work more quickly. For fast relief, consider over-the-counter topical pain relieving gel. You can also take aspirin, ibuprofen, or acetaminophen. And, if you have a tooth that is split vertically, consider wrapping it with dental floss tape. These are my temporary solutions for fast tooth pain relief. Of course for a more long-term solution, I recommend seeing your dentist—preferably one who specializes in "pain free" dental solutions. Hi Victoria. Thank you for letting me know that these remedies worked to give you some relief. It gives me joy to know that this article helped you. Thank you Zack. I hope that if you ever have tooth pain, you would be able to find some relief in one or more of these solutions. Hi Kristy. These are all temporary solutions to try until you can get to the dentist. Ultimately, you want to see a dentist. Yes, in some cases the dentist may choose to pull the tooth. None of these worked, nothing will ever work except to get tooth pulled. Hello Jesselle. Thank you for reading my article. Unfortunately, I am not a dentist - just an ordinary person sharing some solutions that have helped me get rid of tooth pain. 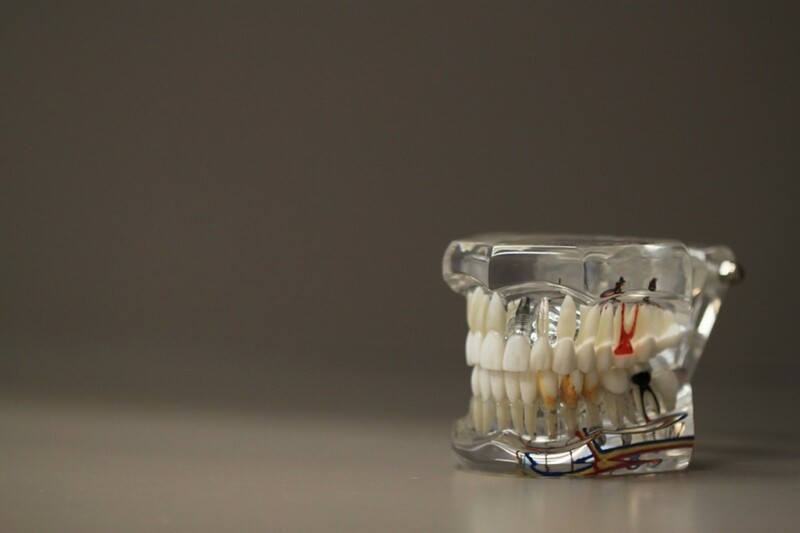 Your dentist would be able to help you discover how to keep teeth from decaying. Hello Ajit Kumar, I am sorry to hear of your tooth pain. My solutions are for helping to find relief for immediate pain until you can get to a dentist. My ideas are not meant to be a "cure" for tooth pain. I hope you are able to see a dentist soon so that you can find out what is the cause of the tooth pain. Hi Raju. I am not a dentist, but I would say if you have permanent tooth pain a dentist should be consulted. I agree with you Jose. The few bad people make life difficult for the many good people. Is hell when you ' have a severe tooth pain and can't get to the dentists right away and can't get tylino 3 over the counter in a emergency situation..The law must be change, i know some people abuse it, but what about people like me ? Hello hari krishna chaulagain. The only solutions I know of for solving tooth pain is what is shown in the article here. Have you tried the gel tooth pain reliever? That might work quickly until you can see your dentist. Hi Ganesh, I am so sorry to hear of your tooth pain. I only know of the remedies mentioned in this article. Hopefully, one of them will work for you. Certainly, visiting a dentist is your best bet. I hope your tooth pain goes away soon. Hello Bob! I am so happy you find these solutions helpful. I have personal experience with all of these methods to relieve pain. I hope they work for you. i almost never join join blogs and such especially just to comment but your article is so universally pertinent and tooth wrapping is so innovative that i had to thank you personally. i have had 18 teeth removed in the last few weeks and in this last round they will be removing the rest. i'm using everything in the article and i'm about to buy a ton of cloves lol thank you and your fans for making life easier!!! Thank you MartieCoester. I hope you never get a toothache, but if you do, I hope at least one of these remedies works for you. Hi Monie! Thank you for that extra tip. I have never heard of it before now. But, I thank you for sharing your solution. I usually have ginger root in my house, so I will try chewing on it the next time I have a tooth ache. Buy a ginger root and chew on it when your tooth ache's it knocks the pain out instantly...I love you mom..old time remedie's really work! Hi Donna. Thank you for your tooth pain solution. I will try it the next time I have tooth pain. And, I hope you don't mind if I add it to the list if it works for me. you can try one part liquid glycerin, one part peroxide mix well, add orajel or any other toothache relief gel with benzocaine and add to glycerin and peroxide and swish. gives pain relief for hours and has a sweet taste. Clove oil also works well. Hi angel. Thank you for recommending cloves. The next time I have tooth pain, I will try cloves. Cloves do work.I had 13 Teeth removed at once.But before I could get them removed I had horrible pain.I put a handful of cloves in my mouth and waited about 10 minutes. Then went and spit it out. Didn't have any more pain for the 3 weeks waiting on the appointment. Hello cicuta@comcast.net. Thank you for your wonderful suggestions. They all sound like things people can do right away to help stop tooth pain. I knew about some of the home treatments mentioned in here such as rinsing the mouth with warm salty water (sea salt); hat will stop pain very fast as I have tried it. Clove is a good one also: place some clove powder on affected area and that will help a lot; matter of fact dentists use it in other countries as a routine treatment. Garlic pills also are good for general health in fact and is used a lot in Europe and Latin American countries. Then using benzocaine helps also as it is an anesthetic. A good thing to do after rinsing with salty water is to apply peroxide to the affected area with a cotton swab and that will for sure disinfect the area; matter of fact it is good to rinse the mouth with peroxide after brushing. Hello Herb. I am so sorry that none of these solutions worked for you. There are many solutions to manage tooth pain. The ones I share here are the ones that I have personally tried. Some of the solutions worked better than others. One didn't work at all. It's simply my personal experience with tooth pain and what worked and didn't work. Hi Marie Flint! Garlic seems to be one of those ingredients that fits the bill no matter what the ailment. Thank you so much for sharing your quick and easy tooth pain solution. A warm clove poultice, made by brewing 1-2 Tbls. whole or ground clove in 2-4 cups of water and straining it (brewing it in a coffee maker with a coffee filter works well), can be very helpful in immediately alleviating tooth or gum pain. Dip a small sponge or edge of a washcloth into the "tea" and place it on the affected area. I always thought you have to live through the pain. Am relieved to say that this is not the case. I also like the combination of art and technology. Hello rajan jolly. Thank you for the additional tip about using clove oil. I will look for that and keep it handy as a remedy, too. What an awesome idea to tie dental floss around the tooth! The salt solution remedy is also a tested herbal remedy. Clove oil also numbs the area and the pain. It is great to know that these remedies worked for you till it was time for you to see the dentist. Hello! dgcaaed interesting dgcaaed site! I'm really like it! Very, very dgcaaed good! Yes, Jerrad245, I definitely agree that the time comes when you ultimately need to see a dentist to take care of the problem. You are fortunate that you have 24/7 dental service. Where I live, I don't have such service. So, until I can get in to see the dentist, my first objective is to stop the pain fast. When I moved to the area I live now, I called local dentists to find out what there services were. None of them were available after 5:00 p.m. When I had my tooth ache and wanted to see a dentist right away, I called around to find one who would see me and none of them thought a tooth ache was an emergency. 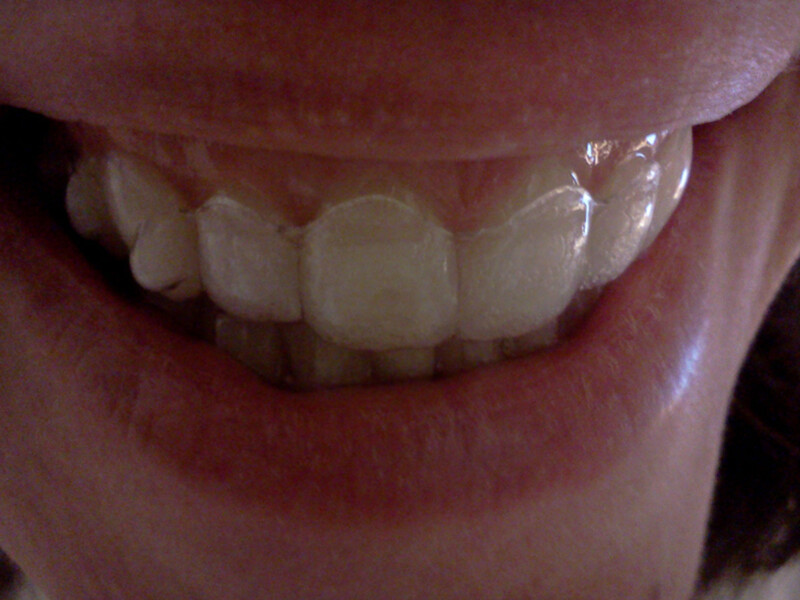 Even after explaining that my tooth pain was caused by a cracked tooth, the dentists still felt like it was no big deal. So, I had to wait for an appointment to come available. I had to wait a month dealing with the pain. So, I envy you and others in your area who are fortunate to have all day dental service. That would be so cool to have around here. No one wants to see a Dentist, I definitely am with you on that, but realistically its not going to go away, and in reality it might only get worse, plain and simple, you need to see a dentist. Here locally in San Diego we actually even have emergency dental clinics that are open 24/7, which is where I went for my tooth infection weeks ago, www.OnDemandDentist.com , but there are mutliple ones, the biggest thing is addressing the issue and a painkiller can never do it. You are quite welcome, mastermikeee. Hi Sweet Chococarrie, I think tooth pain is very hard to endure. 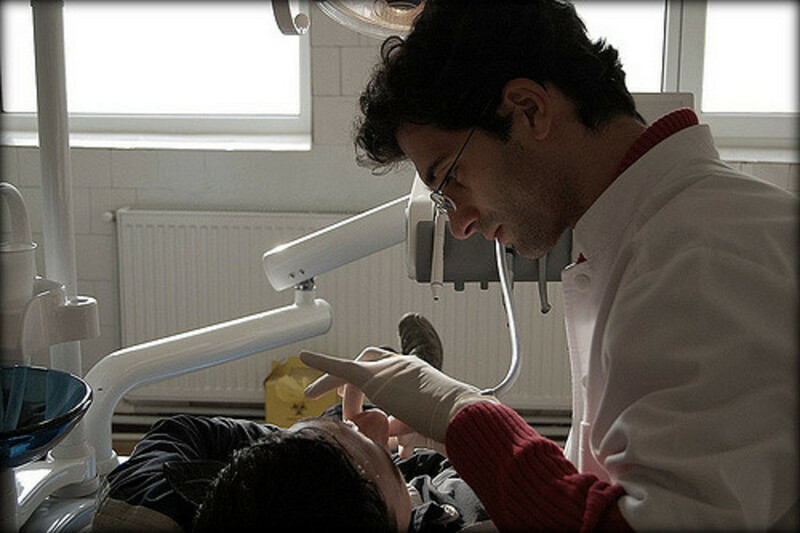 It also helps to have a dentist who is sensitive to patients who fear pain. I once had a dentist who was very gentle and made sure I was never in pain. I have moved away from that area and now I am searching for a dentist who will be careful and painfree. Nice well explained tooth pain relievers and remedies and i enjoyed reading them, i guess for me when i finally went to the dentist i was ready for a war, i mean i really wanted real pains from the syringe ''the anesthesia, it is the most painful for me, but with the terrible pain i almost gave my gums away and finally anything more painful is never painful for me anymore, specially extractions, i feel great relief of the fast effect of the anesthesia then peace is all over. Hi, Green Lotus! Thank you. The garlic oil actually turned out to be quite a good thing for me. I still use it to this day, only now I take garlic oil to help ward off the mosquitoes who use to attack me out here in the country. I love your recommendation for garlic oil to ward off infection! Very well researched and useful. Thanks! azurevon - Yes. Tooth pain is one of those pains that is not like any other. But, there is fast relief to help deal with the pain until you can get to the dentist. Thank you very much for your visit and for your comment. Thank you, kittyjj for visiting my hub. Yes. I can't tell you how I thought of it, but it did work. I hope you never have to use this technique, but at least now, you know about it and can use it if the occasion arises. Hi Faith Reaper! Yes; ice (but not directly on the tooth) placed on the side of the face was one of the first things someone had told me to try. It didn't work for me. It just made my face feel cold. Thank you for stopping by and for your comment. There is nothing worse than toothache pain! This is very insightful information here. I knew about the gels, but never would have thought about ice. Great hub! Thank you for your feedback, bethperry. I had heard about holding an aspirin on the tooth. But, I forgot to even try it. At least now (thank you) have one more solution to relieve tooth pain. Thank you for sharing your great advice, and know for sure that I will try it next time I have a toothache. Very useful Hub! I've had fragile teeth ever since I had to take anti-seizure meds some years ago and no matter how diligently I take care for my teeth they remain so vulnerable. And over the years I have found the fastest relief to a sudden assault by a bad tooth is holding an aspirin against it until I can get to a dentist. Good advice here, voting up. Thank you all. I really appreciate you stopping by. DigbyAdams - Yes. I know what you mean. I use to try to eat garlic, and as much as I like garlic I didn't think I could eat enough for the antibiotic level. So, the garlic capsules are working out quite well with the added bonus of - I no longer get mosquito bites. That's a real plus for me, because you know how I feel about pain and those mosquito bites can really hurt. Simone - Yeah. The gel was something I picked up from motherhood. It helped numb the gums when the babies were teething. I figured if it worked for them it should work for me. Arlene - Oh, the pain. I am so sorry you had to go through that. By the way, I'm still looking for a dentist. The dentist I'm seeing now has a friendly staff, but he's not as pain free as he advertises. Very helpful chart! I remember breaking a tooth in Alabama (banana taffy!) and having to wait days to finish vacation and return to California. I have a dentist that I trust. Everyone else has brought me pain. Goodness, this is such a fantastic guide! I love the table, and it's great to know about some of the other alternatives as well. I didn't know that there were even gels one could apply directly to the effected area. So cool! Very informative hub. I do think your instincts are correct about garlic. I was watching the news the other night and they said a study showed that it was more effective and worked faster than some antibiotics when dealing with certain types of food poisoning. Although the news report didn't specify how much garlic you had to eat. Somehow when I'm that sick, I couldn't imagine eating garlic - and keeping it down. Anyway I'm glad you're feeling better. Denise - You might be right about it being associated with the head, because I certainly can't think about anything when I have a toothache. Kelleyward - I'm just glad that ordeal is over. Strangely, I'm on my way to the dentists's office for a checkup in about 30 minutes. unknown spy - I hope I can spare others of such pain. I'm glad the chart is helpful. toothache really really hurts!!! oh my. thanks or the chart. great help! What an awesome chart, Marlene. Sorry about your toothache. I hate tooth pain. I think b/c it is associated with the head it makes it even more excrutiating than other pain. Voted it up.